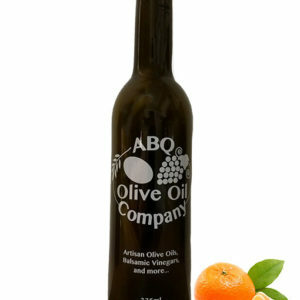 If you like spicy, you will love this new fused olive oil! 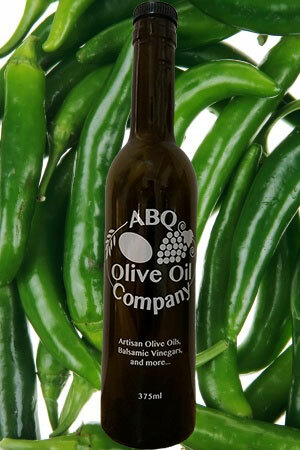 Taking a whiff of this new green chili oil is like cutting open a fresh pepper! Made by pressing 10 lbs. of fresh,Tunisian green chilies, per pound of olives! 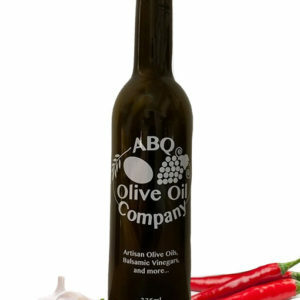 use as a key ingredient in salsas and dips! 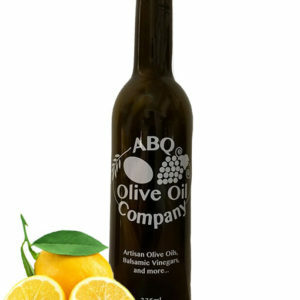 Pairings: Ripe Peach White Balsamic Vinegar, Serrano Honey Vinegar, Golden Pineapple White Balsamic Vinegar, Honey Ginger White Balsamic Vinegar, Cinnamon Pear Dark Balsamic Vinegar, Dark Chocolate Dark Balsamic Vinegar, and Raspberry Dark Balsamic Vinegar.